NHL News : Time to fire Babcock in Toronto?! Time to fire Babcock in Toronto?! 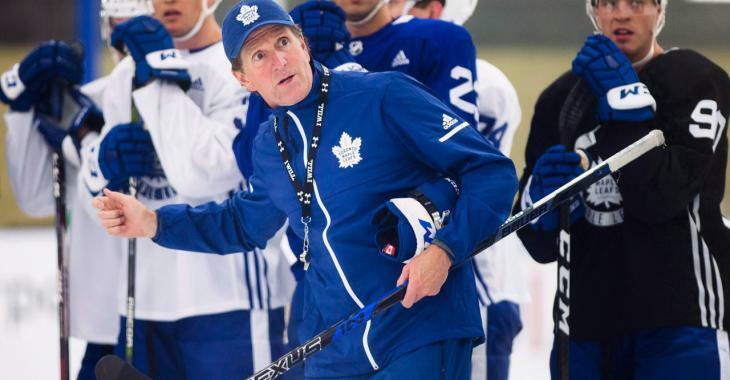 On Monday, the Maple Leafs head coach questioned organizational depth and it got people wondering, and this includes NHL insiders: what is going on in Toronto? It wasn’t the first time Babcock has taken shots at management for not filling the holes on the roster ever since the team was pretty quiet at the trade deadline. “All good players, let’s not kid yourself, you’re way better when you have all guys on deck,” Babcock said Monday. “The thing about a team is you have 23 spots on it and you have a minor-league team, you’re supposed to build the best program you can to have as much depth so you don’t miss people. “You know what it reminds me of? Bill Parcells in 1997. Five days after taking the New England Patriots to the Super Bowl (a 35–21 loss to Green Bay), he left the organization, uttering the famous line: “If they want you to cook the dinner, at least they ought to let you shop for some of the groceries,” Friedman wrote in his introduction to his 31 Thoughts column on Sportsnet. Fans were upset with Babcock last night, when the head coach seemed to refuse to play Auston Matthews in the first period of last night’s 4-2 win over the Buffalo Sabres. During the first intermission of the game on Sportsnet, John Shannon noted that Matthews had played a great first period, however he was limited to four minutes and 37 seconds of ice time. The insider couldn’t comprehend Babcock’s decision and fans agree with him. Matthews got the first star of the game and ended the tilt with 19 minutes and 39 seconds of ice time. For now, Babcock and Dubas will focus on the last stretch and the upcoming playoffs, and we have to believe that they had the conversation about depth behind closed doors. However, what else has been said…?